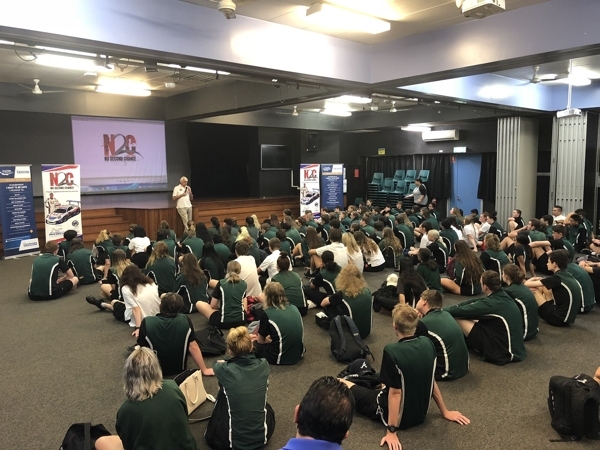 Our most recent N2C presentation was at Park Ridge State High School in South Brisbane on Wednesday 7th March. 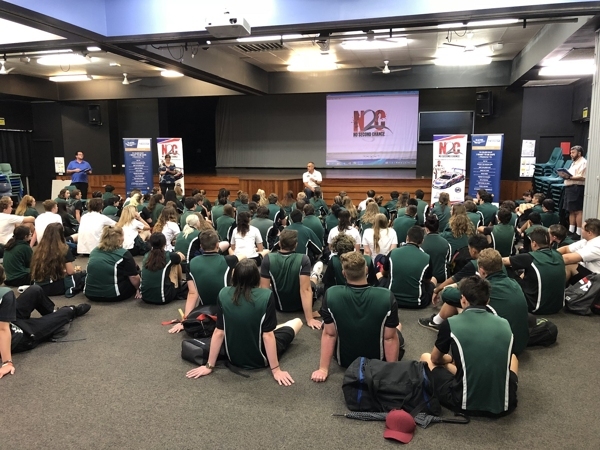 This was our first visit to this school and we presented to over 180 year 12 students. 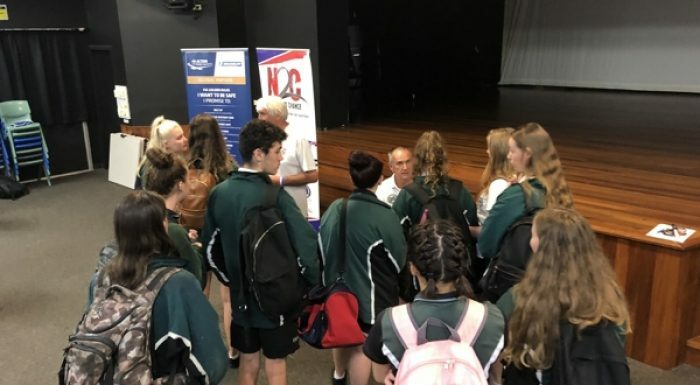 Park Ridge State High School was established in 1991 where they operate a supportive learning culture that caters to the diverse interests and abilities of their students. Their focus is on personalising each student’s learning experience to support them in their learning pathway towards excellence. Although a middle-class school, Park Ridge State High provides a dynamic and innovative curriculum and their students have had notable success in AFL and Instrumental Music. As usual, we got great cut-through to the students and there was barely a dry eye in the room by the time we had finished with many of the students staying after the presentation to talk with and comfort Matt and Paul. Here is what some of the students had to say after the presentation. Overall, the presentation provided two stories that both touched the hearts of the audience and taught them a lot of things through how relatable it could be. Everyone showed respect because of how powerful the firsthand experiences were. It was an excellent presentation with a very powerful message. The message of No Second Chance really got through to everyone, even the teachers. I would definitely recommend this presentation to other schools as, it really inspired many students throughout my school and i think students from other schools will also really benefit from hearing this presentation. The best part of the presentation was the explanation of how things can be avoided. How stupid things that may seem no big deal to somebody can turn bad and impact somebody else’s life majorly. Our next presentation is next month at the Kings School, Parramatta. 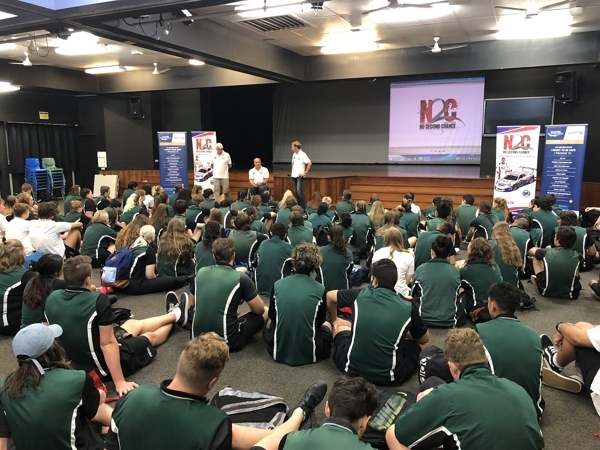 Recent N2C Graduates from Park Ridge State High School can enter the N2C Top Gun program for their chance to win an exclusive invitation to the Porsche Sport Driving School to complete the ‘No Second Chance Porsche Sport Driving School Young Driver Program’.